Clothing: When you feel that your closet is a bit lacking in the epic department. 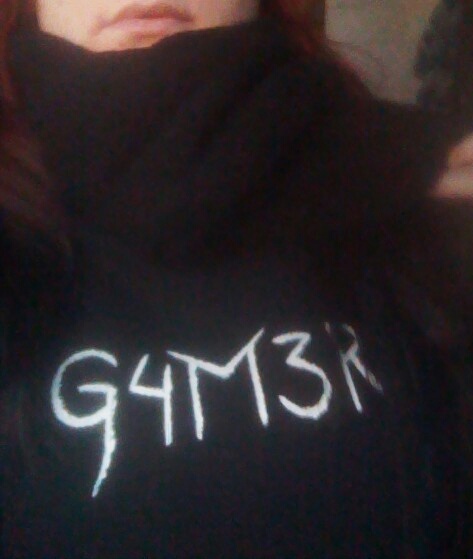 So, instead of doing something DIY for once, the other week I bought this awesome Witcher shirt from Grindstore. The colors and motif really spoke to me. Not only is the game damn great, the shirt is really epic looking. The quality is way better than I thought it would be and the shipping didn’t take to long. I’ll absolutely order more from that store in the future. So, as the winter is going away now and there’s barely any snow left, I felt that it was time to buy some new shoes. And what else to do than to tweak them a little to fit better into what I like? I got two pair of low fake converse styled shoes, one pair in purple/wine red and one pair that is completely red all over. The wine red shoes had white shoelaces so I switched those to the red laces that came with the red shoes and gave the red shoes black shoelaces. 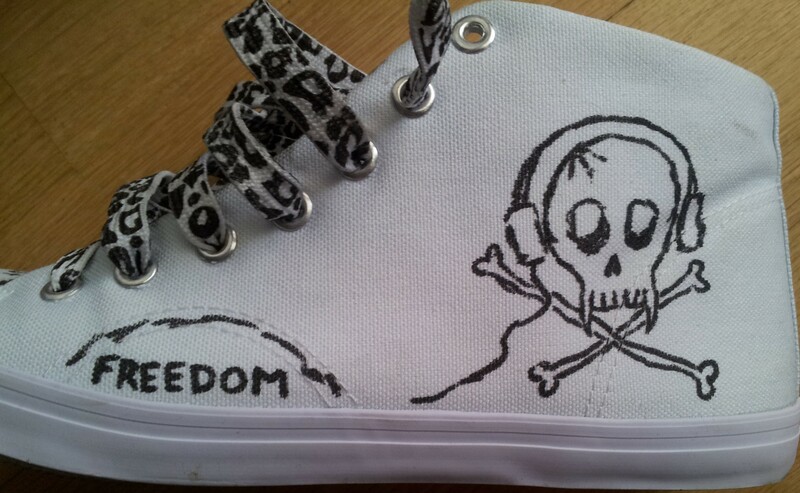 And because I love anything geeky and awesome, I had to write on them as well. 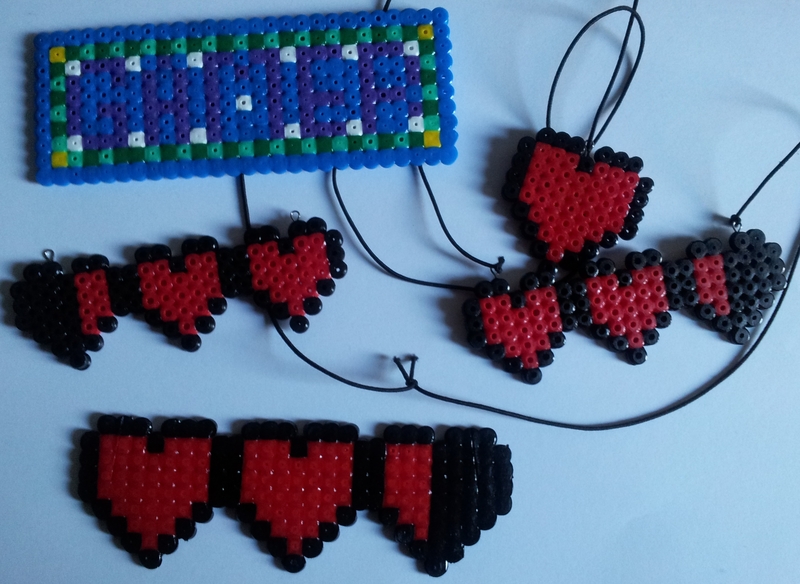 I bought some plastic beads that I used to love when I was young, and some things for making a necklace among other things. I sat down, put the beads into place and then ironed them with my trusty steam iron. Only after my first try, I realized that I should have been placing the motive mirrored. I fixed my wrongs and it came out perfect. A tip however, if you are going to buy a bag with mixed colored beads, be sure to buy extra blacks if you are going to use it, mine ran out quickly and I didn’t use all that many. 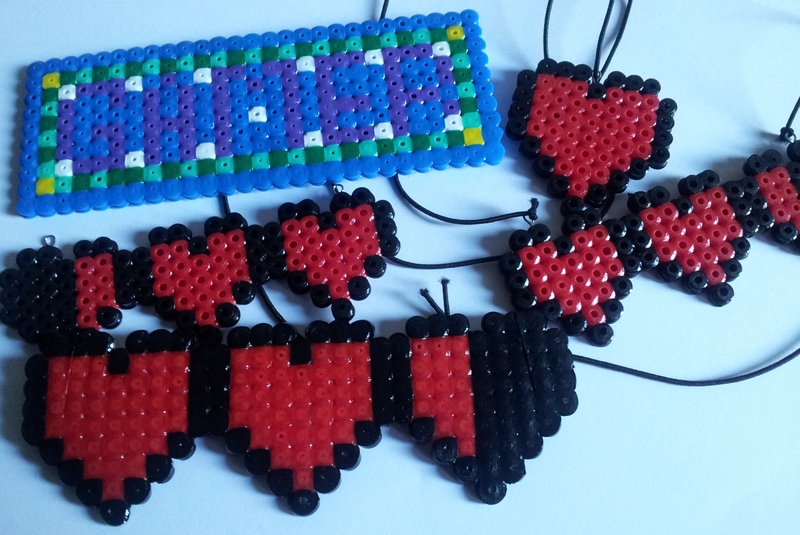 I took my inspiration from the Zelda games after seeing some heart necklaces that I think are so nice. (The little greenish blue thing at the top was a try to see how the other colors would turn out. 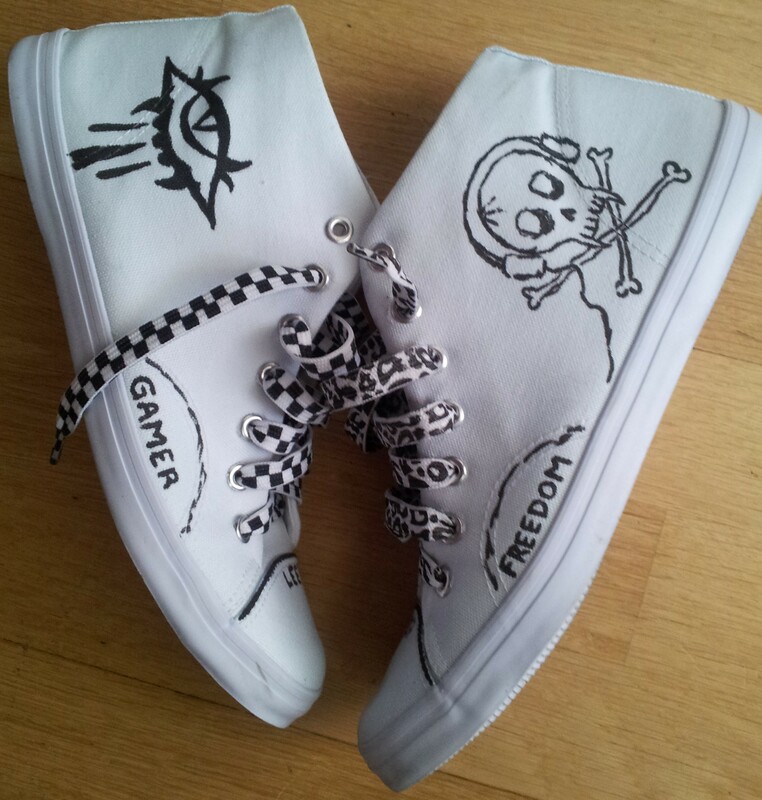 So, the other day I felt the need for some new shoes cause the ones I got at home have started to break, sadly. The ones I bought are kinda plain, white and boring so I pulled out my textile coloring kit and started painting. The other shoes I painted on last time were colorful so I chose to paint these in only black, found some cute shoelaces to go with them and voilá, new perfect shoes! 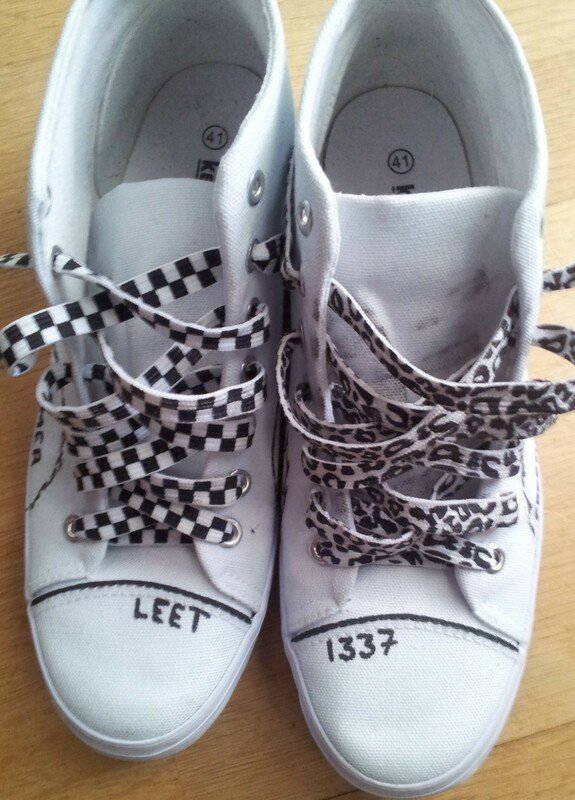 The shoelaces are two different ones, the lace on the right is checkered and the one on the left have animal printed in black and white on it. 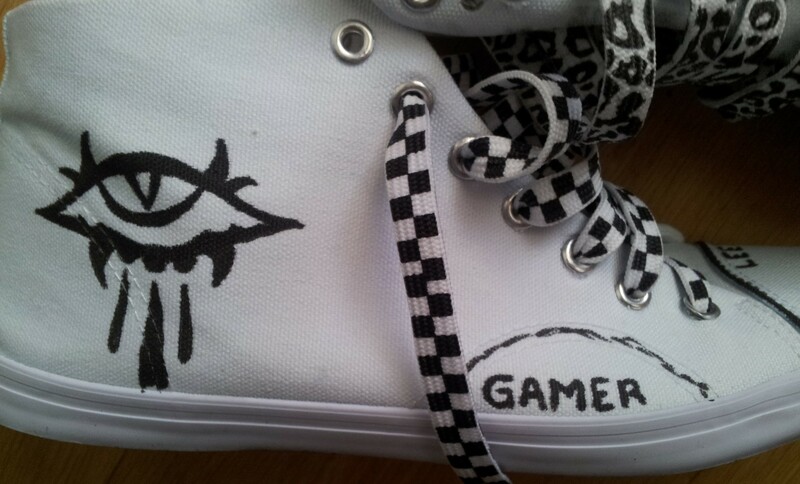 The eye on the right shoe is the logo from Neverwinter Nights, a perfect game and the skull on the left, I just painted for fun with headphones on and vampire fangs. You can interpret the words however you wish, I know what they mean to me. So the other day, I bought myself a new phone. 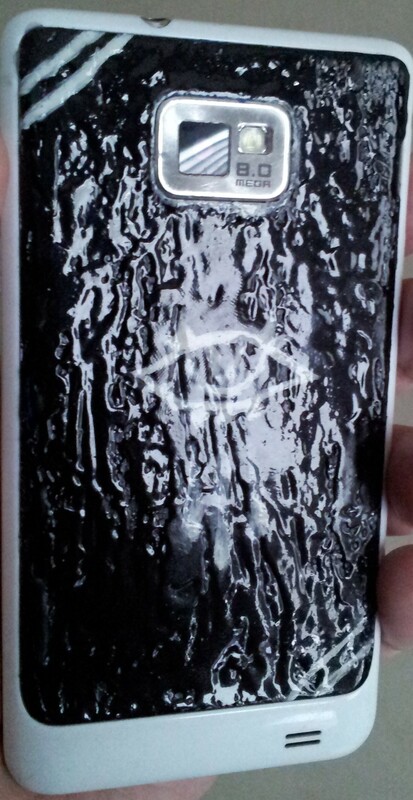 Upgraded from my dear HTC Desire S to a nice Samsung Galaxy SII. After some time of flashing it and putting CyanogenMod 10 into it, I instantly I felt that the white cover needed some coloring to look better as well. I looked everywhere for new covers but to no avail. 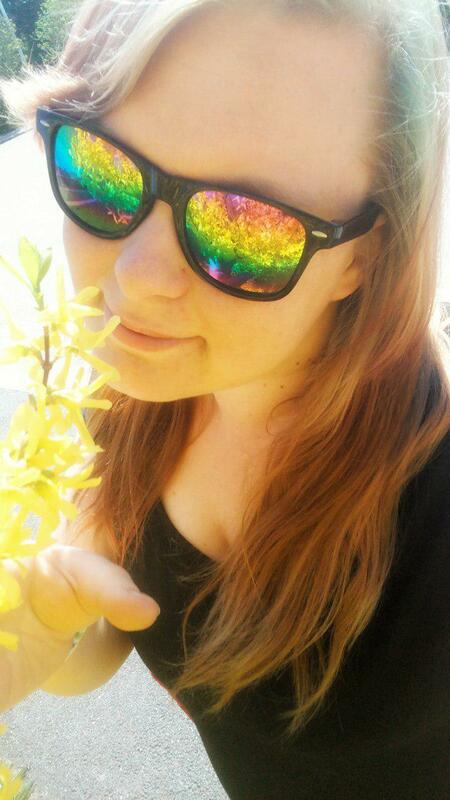 After a few frowns and some cursing, I got the brilliant idea to paint it instead, like I did with my recent sunglasses. 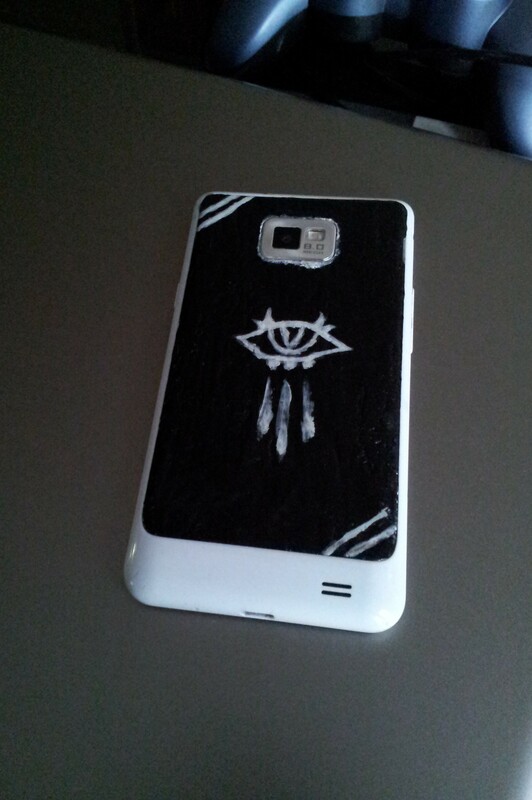 A while later, when the paint was dry and I tried to hold it in my hand, I realized that the acrylic color that I had used is not so good for a phone that is always in a hand or lying against things so I thought of covering it with some nail polish. The acrylic color was one of few things I had at home at the time, and only time will tell if putting nail polish on top of it was a good idea or not. Sometimes I thank myself for being a girl, yes stereotypical I know, but I somehow had some nail polish in my home even though I don’t use it myself and the result you can see down here. 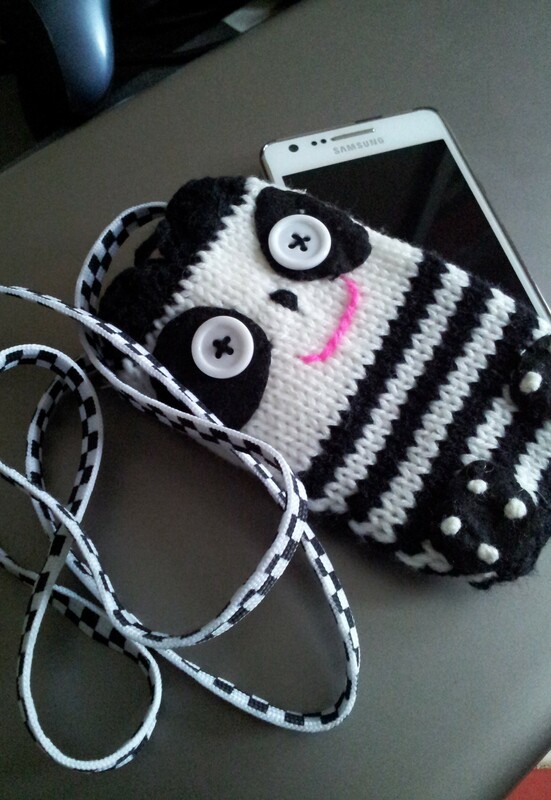 Here is pictures of the phone, and one on my new phone bag, a cute panda that I attached to a shoelace to wear when I need more pockets. DIY: Painting Sunglasses: Summer is almost here! 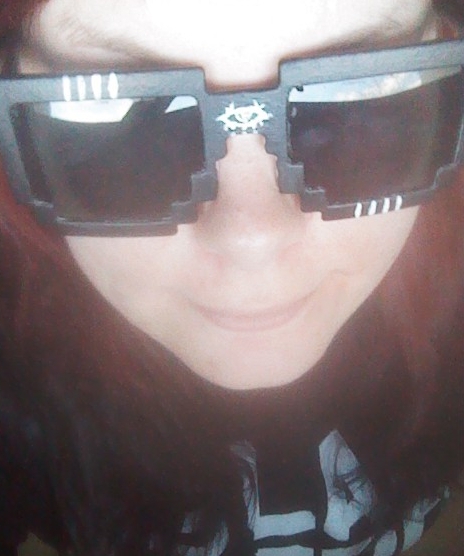 So, just bought myself a pair of white sunglasses just because of the silly shape they have, then I had the fun idea of repainting them. 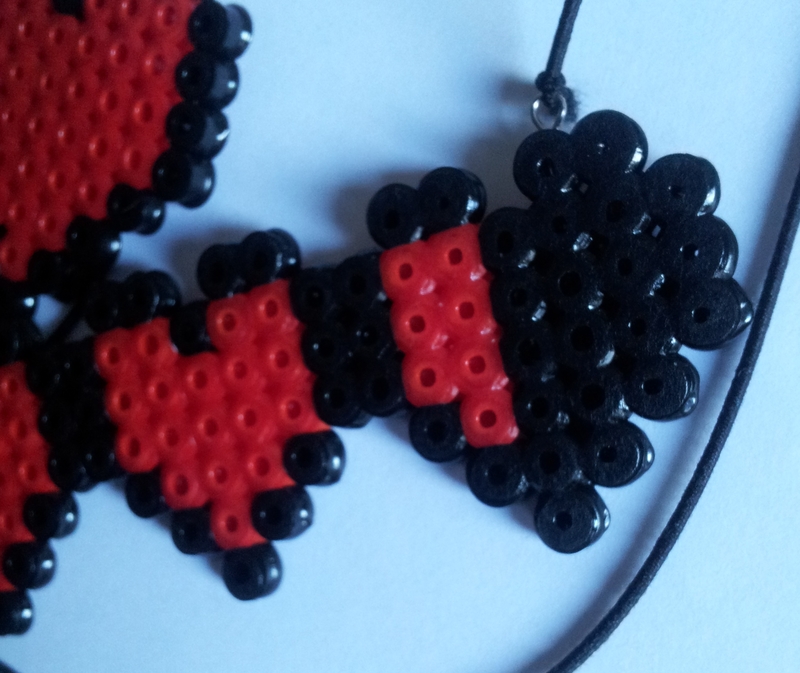 They kinda look like they are pixelated in the shape. However the result wasn’t the best but it still got rather awesome! So, I just did some textile painting on a hoodie that I had lying around, that I felt needed something. 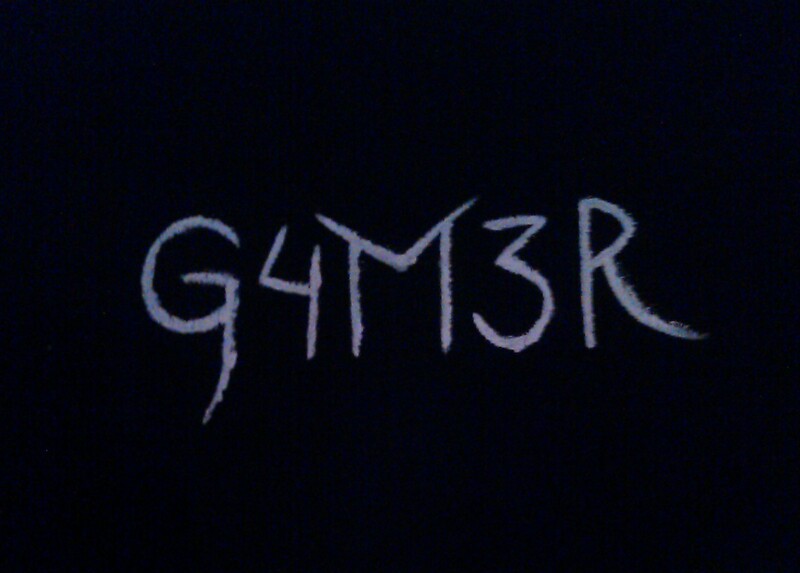 I took out my white textile color, a brush and wrote the word “G4M3R” on the black fabric and the outcome was not that terrible and wanted to share it.